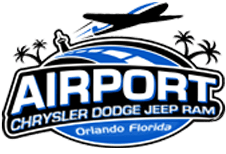 Airport Chrysler Dodge Jeep Ram would like to hear about your experience at the dealership. Click on a Logo Below to Get Started! I really was in need of getting a new car so a friend actually recommended me to come here! I was interested in getting a Jeep Renegade because of my business. I work as a florist and I am constantly transporting floral arrangements in my vehicle. I needed something with enough space to hold decor and the flowers, along with being a practical vehicle that is stylish. I came in and Justin in sales was amazing! He pretty much knew exactly which vehicle I should choose. I test drove with the Renegade and fell in love. I ended up with a beautiful sand colored one! I will recommend this dealership 100% to anyone looking for a new or used car, also ask for Justin he will make sure you have exactly what you want before you leave. Amber Wilkerson made shopping for a car extremely easy and I am very pleased with my purchase. She was able to guide me through each car that I was interested in and recommended what she thought I would like best. She was extremely relatable and it didn't feel like she just wanted to sell me a car. She wanted me to find the right fit for me and I'm glad I went to this dealership! Great experience. I dealt with an excellent sales man called Trenton. Trenton treated me with courtesy, respect and professionalism through the complete buying process. 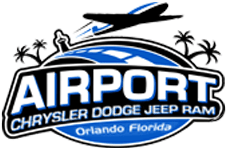 The Ram truck we purchased was immaculate and by far the lowest price we could find anywhere in Orlando. The entire team at the dealership from Trenton, to the sales manager and finance manger were first class! I own a company that sells a lot of product on-line, and I have to say that the entire buying process was carried out in the same professional way that I have my team work. Well done guys! A big 5 Star from me.